Well my first time to here after all these years. 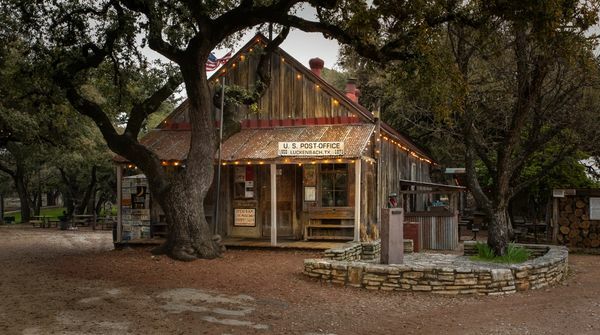 This is Luckenbach, Texas , the store which had 3 guys jamming in the back. A dance hall across the way and a stage out back. True Americana nicely photographed. Thanks for sharing this one. Looking at your photograph and I hear the Waylon Jennings' song about the town playing in my head. Your photograph is a perfect match to his song. Thanks. No picture of all the license plates? ?